INCREDIBLE HOUSE AND PRICE! This home has been recently remodeled. The entire interior and exterior has been painted. The front entrance is grand with the staircase and a beautiful light. There is a formal living room and also a formal dining room. The kitchen cabinets have been painted and new hardware installed. The counter tops are granite and there is also a bar and eat in kitchen. The spacious home features 4 bedrooms and 3 full bathrooms. All bedrooms have new carpet and the bathrooms have new tile floors and new tile showers. One bedroom is downstairs and the master bedroom and two others are upstairs. The den is off the kitchen which has hardwood floors and a wood burning fireplace with a blower. This is an open area that makes great entertaining space. Out back is a great backyard and a nice enclosed back porch. You will find a large workshop right off the double carport. This one is move in ready! 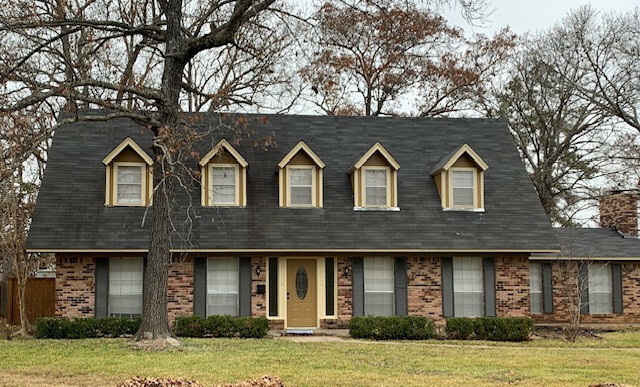 Call or Text Dianna Martinie @ 870-500-5944 for your showing today.